[Question] so How Many English Teachers does it take to exchange a Light Bulb in South Korea ? as an electro-mania who went in search of Edison and Tesla’s trails, I have an obsession about light bulbs, or would it be just to confess I have a light bulb fetish . on the first year of art school I made a collage of myself from one, colored – explaining the artificial in me, also in becoming something that was NOT meant to be, and the agony in its growing process . I can spend hours in a super-mart electric section picking the right bulb, ofcourse : aside from all the other departments in it, automotive and even curtains, Yes 😉 it is one thing to the many lighting stores in YongSan Electronics Market, and another for there is seldom to need to, as dedicated On-Line Malls have sprung-up and business booming exactly for their specialty, in spite of nation-wide recession -_- thus this can very well be the longest page in this BLog if I continue to write as my heart over-passes the brain, so will try to compress mildly .. and wrap-up . in this context : paragraphs seem un-necessary, as now in terms of Einstein : light should continue for ever, afar and long as possible . ofcourse that it eventually bends, is the killer of modern knowledge . 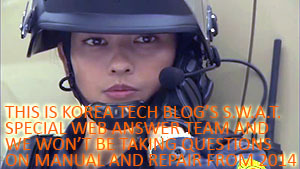 but after the 1988 SEOUL Olympics, virtually all buildings use the latter now . imports : Post-Millennium Japanese, American or European imports aren’t necessarily the most high-tech, durable nor expensive as national conglomerates and home-grown companies produce state-of-the-art products . Osram began to be known for halogen lamps in South Korea as it was developing after the KangNam real-estate boom, with new-money buying lust interiors . expensive but colors reminiscent of the rainbow . Philips, wide-spread into Korean homes with various kitchen electronics . 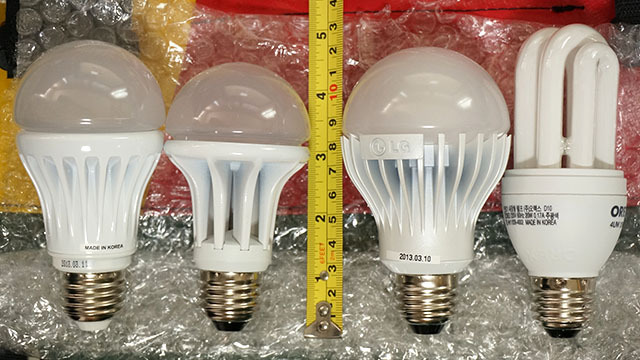 GE mildly sold throughout Korea with its classic tungsten light bulbs and fluorescent lamps . Korean Conglomerate Subsidiaries rule local market with latest technology on higher end, and varied assortment of bulbs for every purpose and price . LG also, but a lesser than competing SamSung as SS is known for visuals (like TV) while LG for mechanics (like air condition and laundry machines). LG inotech is a separate company to lure yielding consumers . Korean Local Brands literally saturate the market with cheap, physically weak bulbs, meaning there are several, but a few have done it for long thus accepted even when price a notch higher . [ WHAT ] TYPE, choosing depends on a few factors as whether you already have a lamp and seeking bulbs only, or seeking just any cheap light or want to replicate day-light with premium set-up . basically, you choose to buy cheap bulbs to pay dear electricity bills OR opt for the more expensive energy-saving bulbs .. with almost the same strength of brightness either way . tungsten, is the traditional oval light bulb – thin, weak, cheap but will cost you on electricity . fluorescent, is the long tube used on ceilings of larger building rooms . halogen, mostly used for spot decoration as in galleries and department stores – beautiful but hot-dangerous and expensive to buy as well as on electricity . LED, is the latest technology trying to minimise on electricity bills, but is the most expensive when buying the bulb itself . also quite heavy thus not suited for fragile lamp-base . insect-repellent, two kinds : large light-cage which lures and burns insects, or the smaller normal bulb-size ones which only don’t emit colors that attrats insects – used to be yellow but now comes in while also . (A) the traditional 100 Watt tungsten bulb as a general guide . (C) again to almost equal 14 Watt LED bulbs . thus as I mentioned before : as you proceed A-B-C above the electricity usage reduces, but the purchase price of the bulb almost quadruples from A-to-B, while doubling from B-to-C .
(F) “day color” JooGwangSaek, simulating cool out-door color temperature . here the most common is the earlier (F) cool leaning towards blue, while a medium model will have the option of (D) warm and (F) cool . with (E) while offered in the more expensive models . the first electric-stop you will seek after moving-in will be your small neighborhood electric store, more-over a (NOT computer but mechanical) hardware store . but this should be for emergencies, as they call what-ever price depending on situation and consumer, among a line of most basic variety . and the BEST place to buy anything, if they carry for expatriates is your closest super-mart like eMart, HomePlus, Lotte Mart and Mega Mart in the order of attractive imports and also my favourite . after that you can have the best price competition on general items in the most common bulbs at On-Line Malls run by conglomerates . but they won’t carry exactly the Watt nor color shade you seek . so you end up with specialized On-Line Malls, which are extension of their almost-whole-sale stores located in YongSan Electronics Market or the older JongRo utility market smack in the middle of downtown Seoul, or respective tools area in other cities, still larger like Busan . South Korea like its neighboring island of Japan, puts emphasis on recycling materials and garbage in every neighborhood . so much so that it actually costs you to throw things away, especially those that cannot be recycled . and on this note, I deem it such a pity that you have to carefully find places to jettison batteries and light bulbs, for its leak and crack can do much damage to others, including animals – still these two materials are rarely taken care of as it should be, than the more normal plastic, bottles and cans . batteries to be left at regional “Dong” office, where there ideally should be a stand that looks like a Mail Box out in front, and if you cannot find one : pass it onto a clerk . I’m going to Seoul for a documentary film shoot. In the USA I usually bring along a paper lantern with a fixture than can support a tungsten bulb (150 watts to as much as 200 watts) for lighting interviews. I was wondering if you think I can find similar wattage bulbs and supporting fixtures in Seoul. When I’ve shot in Europe for instance, I’ve noticed that tungsten bulbs have been phased out in a lot of countries for energy saver bulbs, which makes it hard to find higher wattage tungsten bulbs. Your help would be much appreciated. True, electric-bill gulping tungsten bulbs have phased-out about a decade ago, and now many are migrating from fluorescent to LED, even though the purchase price on-set jumps but with drastic savings on electric bills . but this is at the general consumer level, while professional lighting equipment still stands on the Global level . ask you Korean contact or agent to search lighting-equipment dedicated On-Line malls, as they carry a surprising amount of local and imports .